Thank you for visiting the JDE PTA Website! We hope you will find it full of helpful information for your family. If you would like to help with the JDE PTA or have any questions, please email us at ptaatjde@gmail.com. Please join us as we celebrate art at Jones Dairy! The Art Department will host an Art Show with a beautiful display of artwork from each student, plus you can enjoy performances from the Jones Dairy Dance Team and Color Guard. Families may also purchase a ceiling tile for $30 to paint for our 2nd Annual “Paint the Tiles” event. Your tile will be displayed on the ceiling of the school for years to come. 24inx24in ceiling tiles are available for pre-purchase until May 1st. A limited number of tiles are available. All paint brushes and paint supplies will be provided. JAM ice cream will be available for purchase. To purchase tiles, please detach the slip from the bottom of this form with cash or check (payable to JDE PTA) and return it no later than May 1st. You may also order online at https://jonesdairy.memberhub.store/. If you're looking for that special gift for your favorite teacher, specialist or support staff, see the staff favorites list below to find out their favorite foods, restaurants, places to shop, and more! Make sure you scroll through all of the columns -- there's lots of information for you to help choose the perfect gift. Thank you for supporting our teachers and staff throughout the year! The theme for Spring 2019 is DINO-MITE Book Fair: Stomp, Chomp, and READ! A prehistoric land full of irresistible new books kids can't wait to track down. We'd like your help in making this book fair a stomping, chomping, reading good time for our students! The book fair will take place May 2nd- May 8th AND May 10th-May 17th. Volunteers are needed for 1-2 hour shifts to sell books, help students make selections, run the cash registers, and close out each day: https://www.signupgenius.com/go/60b054daaac2da46-2018. The book fair will take place in rooms on the 4th and 5th grade hallway. We will send out opening and closing instructions along with directions on how to use the registers. Scholastic has provided updated technology, so the check out and closing process will be EASIER than ever before. ​Interested in the latest PTA news? Check out our newsletter! Current and archived newsletters can be found in our "News" section. 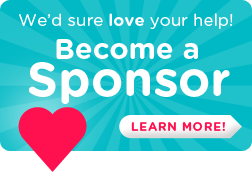 Membership provides our school with revenue and the volunteers needed for committees that support school events and fundraising efforts. It also gives families the opportunity to provide input and vote on how our money is invested back into the school. To join the PTA or become a committee chair, complete the membership form below and return to JDE in your child's daily folder. You may also join online at JDE's Memberhub Store. For more information on how you can help, check out the volunteer section of our website. 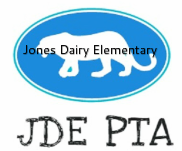 The Jones Dairy Elementary PTA is a 501c3 tax-exempt organization (EIN #65-1227176). All donations are tax deductible.